Arkady was a Russian citizen until 2015. The creator of one of the first non-state television and radio companies in Soviet Union, and subsequently a media holding, which united various media assets. Member of the Board of the National Association of Broadcasters. Member of the Academy of Television. Winner of TEFI award in nomination for the contribution to the development of regional television. Winner of the award “Media Manager of Russia”. From 2015 Arkady became an Israeli citizen. The creator of the successful brand YOFFI and the eponymous company producing Israeli edible souvenirs. 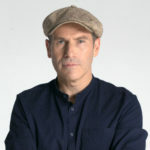 Israeli psychologist, writer, researcher and practitioner in the field of thinking development, linguistic space of individual, phenomenon of “human genius”, structure of human desires, the author of a number of psychotherapeutic and thinking developmental techniques. 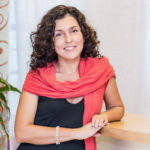 The head of cultural projects, a member of the Writers’ Union, the author of books on cultural studies and psychotherapy. Specialist in the field of corporate culture and personnel management. Head of the Israel Center for Effective Cognitive Technologies E.C.T.Center Israel. President of International Center of Wine and Gastronomy. Graduate degree from the different Institutes and Universities in Russia, Germany, Netherlands and USA. 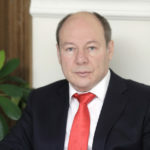 Chairman of the New Branches Subcommittee EAZ International Wine & Food Society, Chairman of Moscow (National) based Russian Branch of the IWFS; Vice president of the Federation of Restaurateurs & Hoteliers of Russia for gastronomy tourism and cooperation with international organizations; Member of the Advisory Board of the United Nations World Tourism Organization (UNWTO) Gastronomy Network. 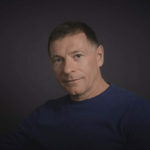 Titles and qualifications: Chevalier of Chaîne des Rôtisseurs (France); Commander of the wine order Caballero del Vino (Spain); International Wine and Spirits Judge; Honorable Member of the Union of Sommelier and Experts of Russia; Judge of category B (World Association of Chefs Societies — WACS) and many others. 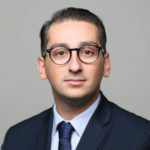 Igor’s experience includes several CFO positions and a managing director position at a Geneva-based family office of an ultra-high net worth individual later transformed into multi-family office. With the broadening of his sphere of activity, in 2005 Igor founded Rachel Enterprises, consolidating his various projects and investments. He holds an MBA degree and is fluent in Russian, English, Estonian, French and Italian. TV presenter, showman, humorist, KVN, theater and cinema actor, anesthesiologist-resuscitator. Since 2007 – member of the Russian Television Academy, member of the Board of Trustees of the “Созидание” Charitable Foundation. Ex-producer of special projects on CTC channel. Actor and host of many famous projects: “О. С. П.- студия”, “Хорошие шутки” (СТС) together with Tatyana Lazareva and Alexander Pushnoy, the show “Слава Богу, ты пришёл!” and many others. Winner of “TEFI-2003″ in nomination: The Best Entertainment Program” and TEFI-2006 in nomination: “The Best Presenter of Entertainment Program”. 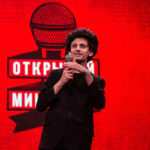 The youngest professional stand-up comedian in Russia. 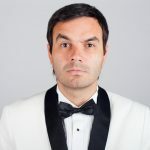 Despite studying in the 9th grade of the Physics and Mathematics Lyceum, Boris manages to perform on tour and talk from the stage about his teachers, classmates and life in a Jewish family. Actual comedy champion in St. Petersburg of. Multiple “Open Mic” and “Money Mic” winner. Finalist of the Stand-Up Peterburg Festival, prize-winner of the International Festival in Kazan. Participant of TV shows: «Open Microphone» Festival (TNT4, Russia) and «Рассмеши комика» (1+1, Ukraine). Stan was born in Riga, from the age of 16 he began to get involved in 3D graphics, gradually began working with various interior designers as a visualizer. At the age of 25 he became art director and co-owner of his own company. 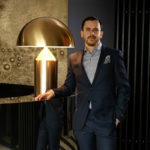 At the moment the company is engaged in the premium segment design of private and public interiors in Moscow, Jurmala, South of France and in other places around the world. Born and raised in Uzbekistan, studied in the U.S. as a high school student. He immigrated to Israel in 1994, at the age of 17. Worked and studied at the kibbutz, served in the I.D.F at the Education and Youth Corps, graduated from the University of Haifa. Ordained as rabbi in 2006, by the Hebrew Union College – Jewish Institute of Religion, Jerusalem. Served as a congregational rabbi in Ashdod, Israel, and St.Petersburg, Russia. 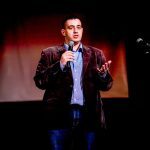 Since 2010, he has served as the first Progressive rabbi of the Jewish Community of Warsaw. Fluent in four languages: Russian, Hebrew, English and Polish. Rabbi of Beit Israel Synagogue, Jurmala. He was born and grew up in Israel in religious Zionist environment. 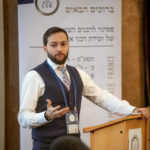 After military service started his work as shaliach in local USA communities for 3 years, later moved to Russia and worked with Jewish Community in Moscow, where he made sessions on religion, faith and Kabbalah. His teaching approach: deep lessons – with accessible language, and lectures – synthesis of understanding Judaism with simple wisdom. 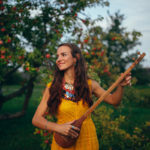 Storyteller, musician and anthropologist who combines faitytales and real-life stories brought from various countries with her music performed on rare traditional instruments. Polina says that nowadays adults need to be reminded of the art of storytelling more than children. Thus, since the beginning of times storytelling was used to inspire people, make them more conscious of the stories they are living, warn them and teach how to survive wholeheartedly in this complex world. Polina’s first storytelling album “Singing Stories” was nominated for a yearly literature award by the Estonian Capital of Culture. 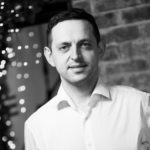 Sales and business development professional with over 10 years of experience in mostly FMCG sector. Main areas of expertise are food and consumer products. Throughout his career major focus is building up and developing new markets from scratch. Lev continuously achieved and overachieved set goals, being on both sides as an entrepreneur and as a corporate employee. Currently Valio Oy (Helsinki, Finland) Export Manager of premium consumer products (butter and cheese) on the markets of Eastern and Southern Europe. Graduated from University of Latvia, History. 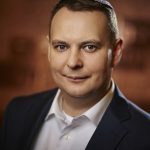 Ilya is a member of Ministry of Culture Advisory Council on National Identity and Society Integration, and member of the board of Center of Judaic Studies, University of Latvia. Since 2008 – director of the museum „Jews in Latvia”.